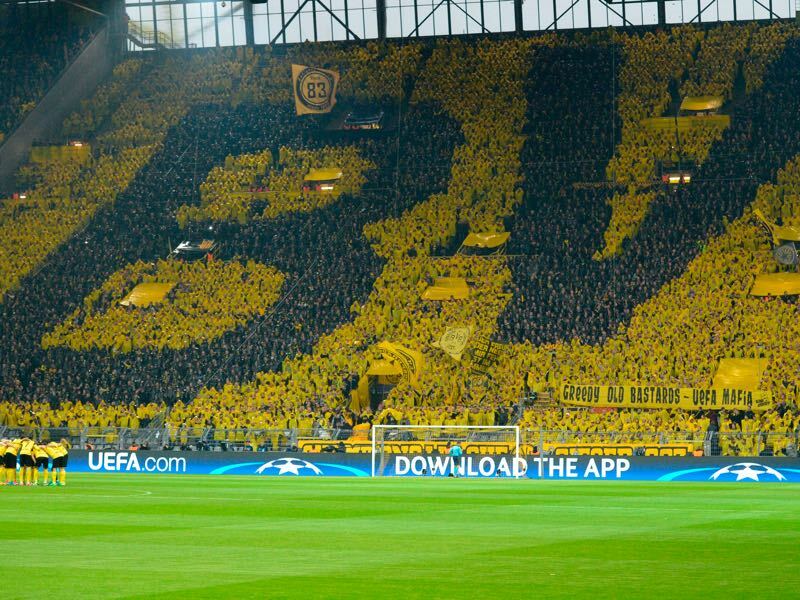 There is some history when Borussia Dortmund host Atlético Madrid on Wednesday night at the Westfalenstadion. The sides have met in four previous matches, most recently in the 1996/97 UEFA Champions League group stage when each recorded an away victory. Dortmund were 1-0 winners in Spain before a 2-1 Atlético success in Germany; the pair finished level on 13 points, Atlético winning the section ahead of Dortmund on head-to-head record. Dortmund, however, who would go on to lift the trophy that season, beating Juventus in the final. 31 years earlier the two sides also met in Europe this time it was the 1965/66 European Cup Winners’ Cup and Dortmund not only eliminated Atlético but would also go on to win the trophy in that competition as well – becoming the first German club to win a UEFA trophy. On that basis alone the fixture is a good omen for the Yellow and Black camp. But it is not just history that is going in Dortmund’s favour. Experience the Yellow Wall live! Book your European football travel now by visiting Nickes! Dortmund are currently in fantastic form leading the Bundesliga after matchday 8 three points ahead of second-placed Borussia Mönchengladbach and, more importantly, four points ahead of rivals Bayern München. On Saturday Dortmund easily dispatched VfB Stuttgart 4-0 but “Atlético will be a good measurement for us,” Marco Reus told the media on the weekend. 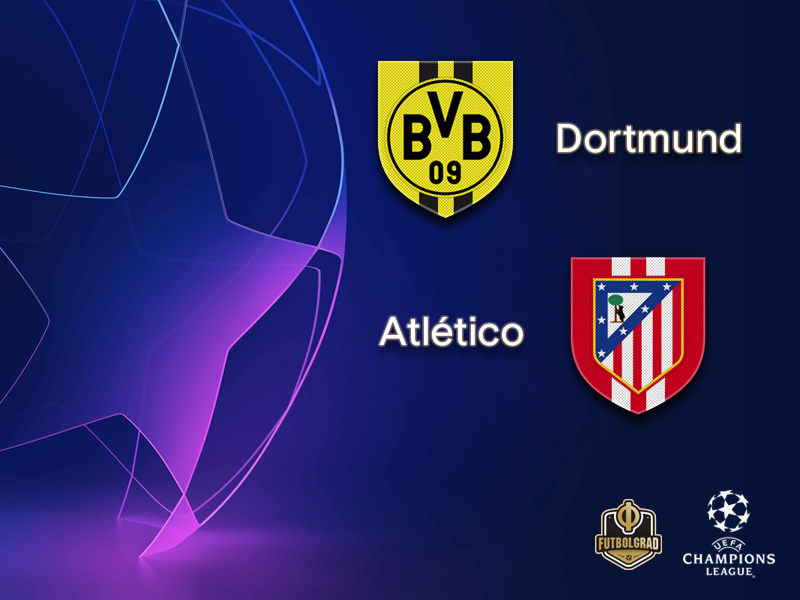 With five wins in a row in all competitions Dortmund have the confidence to take on Atlético. “If we carry over our confidence, speed and security then I am confident,” Reus added. One question mark ahead of the game was whether Paco Alcacer would be able to begin the match against Atlético. The Spaniard has been struggling with muscular problems and had to be taken out early against Stuttgart. “We don’t want to risk it,” the director of licence players Sebastian Kehl told the media. Another question is whether the young defence of Abdou Diallo and Dan-Axel Zagadou can weather the storm against Atlético. That storm will likely include striker Diego Costa. The Spanish national team forward missed the 1-1 draw against Villarreal. “We wanted to win that game and have given up a great chance to walk away with three points. Now we have to press the switch and win in the Champions League,” Atlético head coach Diego Simeone told the media after the match. Like Dortmund, Atlético have won both their opening games in the Champions League but have shown signs of weakness in both fixtures against Monaco (2-1) and Club Brugge (3-1). In La Liga Atlético are now fourth just two points behind first-place Barcelona and two points ahead of city rivals Real Madrid. Hence, there is plenty on the line for both sides on Wednesday. On paper, Dortmund will be the underdogs and the crowd at the Westfalenstadion will be forgiven should Dortmund lose this match. Hence, the pressure will be on Atlético, which bizarrely could favour Dortmund to walk away with a positive result. The talk has been all about super striker Paco Alcacer this season. The Spaniard has been scoring for fun in all competitions and added another goal this weekend. But Dortmund’s key reason for the fabulous start has been captain Marco Reus. The attacking midfielder has collected seven goals and seven assists in the 980 minutes he has been on the pitch this season. Finally, healthy the 29-year-old captain has, therefore, collected a goal or assist every 70 minutes this season in all competitions. “He has become older and more experienced and carries the team,” Dortmund CEO Hans-Joachim Watzke told kicker. The key has been new head coach Lucien Favre, who “discovered” Reus during his time at Borussia Mönchengladbach. The two have a close relationship, and the Swiss head coach gives Reus the freedom to create on the pitch, which in turn has led to perhaps his best start to a season since he joined Dortmund in 2012. Atlético Madrid have the best defence in La Liga this season in no small thanks to goalkeeper Jan Oblak. The 25-year-old Slovenian national team keeper is often the unsung hero behind a defensive line that includes Diego Godin, José Giménez, Filipe Luis and Juanfran. 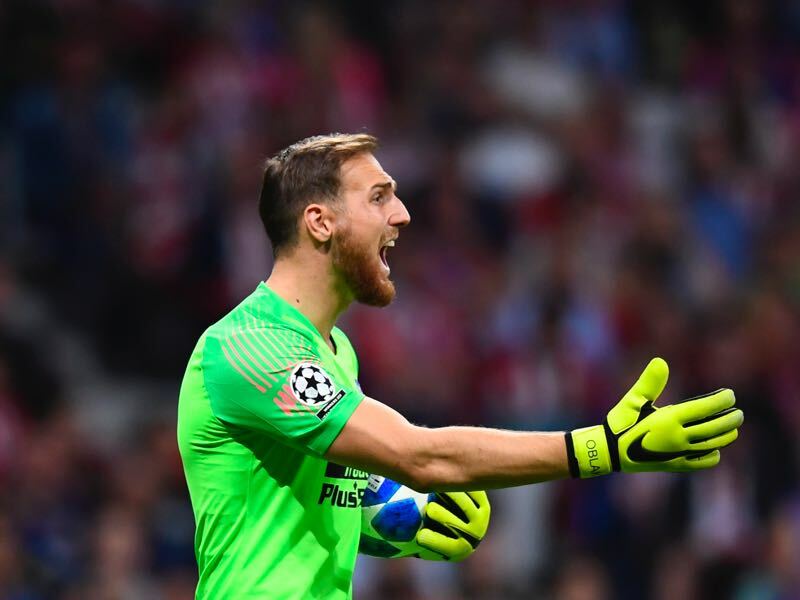 Fact, however, is that Oblak was one of the most in-demand keepers on the transfer market this summer and it was a milestone for Atlético to be able to hang on to one of the world’s best goalkeepers, who without a doubt will also be the difference maker on Wednesday night. Despite the wins against Club Brugge and Monaco, Dortmund have won only three of their last 13 UEFA Champions League fixtures (D3 L7). The German club picked up only one point at home in last season’s group stage, and were without a win in four UEFA Champions League matches in Dortmund (D1 L3) before beating Monaco. Those results mean Atlético have won their last five European games, and have lost only one of their last 16 matches in continental competition (W11 D4). Atlético have lost only one of their last eight European away games, winning three. I think Atletico will have a hard time against Borussia. As an Atlético fan i can’t help to think that we need something else if we want to win the Champions League. Yes we have great players but we need to score more goals if we want to win.